Final Deadline Approaching – 2 Days Left To Apply! Applications will close at 6pm on Sunday 31 March. To join us please read our membership information and apply online. Any questions, please contact us! It’s official – we’re growing! The response this year has been overwhelming and we’ve far surpassed the number of artists in 2017 so everything is looking good for a bigger and more fabulous Trail! Artist profiles are going up on the website. Whether you’re exhibiting or planning to visit, it’s time to start sharing sharing sharing with your friends and followers – spread the word! And do make sure you tag us @peacockartstrail – we want to see what you’re up to! Peacock HQ is blown away by the brilliant response to our call for exhibitors already! Applications are flooding in and we have over 40 exhibitors already! For those who are thinking of applying, just to remind you that the early bird deadline for applications is Thursday 28 February, so you have 3 days left to benefit! Have you seen our new Exhibitors 2019 page to see who’s signed up? There is a lovely mix of familiar faces and new artists so we recommend you have a peek now. Peacock HQ is already getting really excited about hitting the Trail! Peacock Arts Trail – Applications For 2019 Are Now Open! That’s right, WE’RE BACK and we’re going to be bigger and better than ever! The 2019 Peacock Arts Trail will run from Saturday 5 – Sunday 13 October. That’s 9 lovely days of art art and more art! If you’re a visitor to the Trail, you will be rewarded with the opportunity to meet our talented exhibitors and ask them all your burning questions, as well as potentially have a peek behind the scenes in their workshops. We want to make this trail the best Arts Trail there is so you can see just how much talent we have in this area! Please come and share our passion! Peacock Arts Trail 2019 COMING SOON! That’s right! The peacocks are shaking their feathers and getting ready to strut their stuff in 2019! We want YOU to get involved! 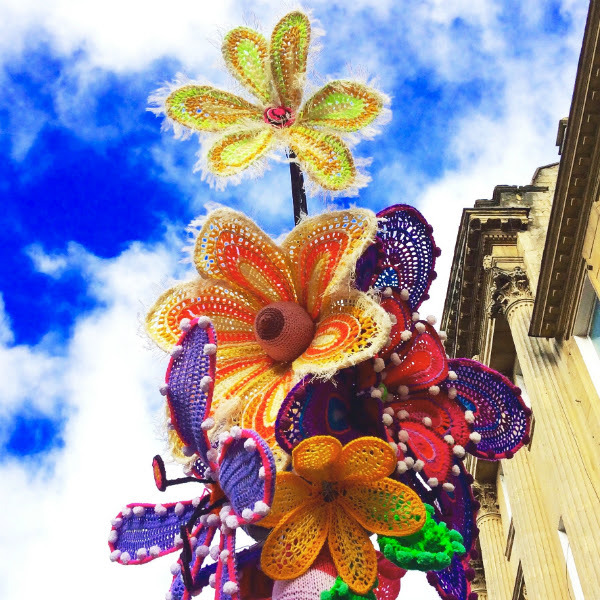 If you’re new to the Peacock Arts Trail, we are a bienniel arts trail, established in 2013, with the aim of celebrating the arts in Corsham and the surrounding towns and villages in North-West Wiltshire. We provide 9 days of open studios which gives members of the public the opportunity to meet the artists and see and discover their art. And it gives artists the opportunity to show and sell your work to the public and network with local artists. Peacock Arts Trail 2017 – Thank You! The Peacock Committee would like to say a massive thank you to everyone involved in the 2017 Peacock Arts Trail! We can’t believe the 9 days are over already! To our artists – a great big thank you for all your hard work and enthusiasm. It takes a huge amount of effort to prepare for an exhibition like this, which we know you do whilst juggling busy lives. To our visitors – it is wonderful to know that there are so many of you who appreciate the arts! Thank you for visiting in record numbers, and we can’t wait to see some of the results of the workshops and other activities that you were involved in. We hope you will hang on to your brochure as it makes an excellent gift buying guide to support local artists. Here are a few of our photos from the Trail. Please feel free to share yours with us, especially if you made something fabulous on a workshop. We’re halfway through the Peacock Arts Trail 2017 and it’s been a whirlwind! The Peacock’s have been out and about on the Trail and we are absolutely blown away by the talent on display. We can’t thank our artists enough for making the Trail so fantastic, their hard work makes it such a success! And a success it seems to be…everywhere we’ve visited we’re hearing incredibly positive things about visitor numbers and engagement. We also can’t wait to see the creative outcomes of the workshops and drop in activities that have been running through the course of the week. What has inspired you so far? Have you joined in on a workshop? Where do you plan to visit next? Share your journey with us on Facebook, Twitter & Instagram. The Peacock Arts Trail starts tomorrow!!! This is our last blog post before the Trail starts, and our last chance to wish our artists and visitors alike a very happy 9 days on the Trail! Photographer David Norfolk will be presenting photobooks of abstract and surreal art photography along with mounted prints of selected photographs from his collection. David is a keen member of the Royal Photographic Society (a charity dedicated to furthering the interests of photography globally) and helps to run its Western Region. This mother and daughter duo promises a delightful, colourful and vibrant experience with dynamic glass work and imaginative illustration and design…. Joining us again in 2017 is another Chippenham based artist, Meryl Kelsey-Masters, who is a multi-faceted creative. She’s been professionally involved in photography, jewellery design, stage sets, props, and garden design over the years and is now enjoying concentrating on painting and jewellery making.